Sometimes it's just a section of a page that you are interested in tracking. Here's how to do that. First of all create your track - or edit an existing track. In our example we're going to create a new track. 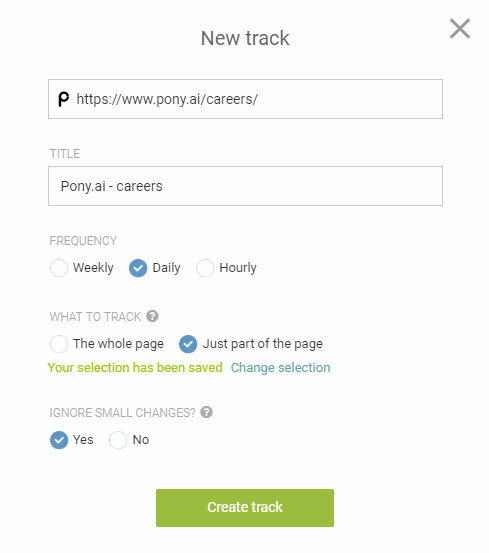 Create a new track in the usual way, after signing in click on the New track button. Click Go! 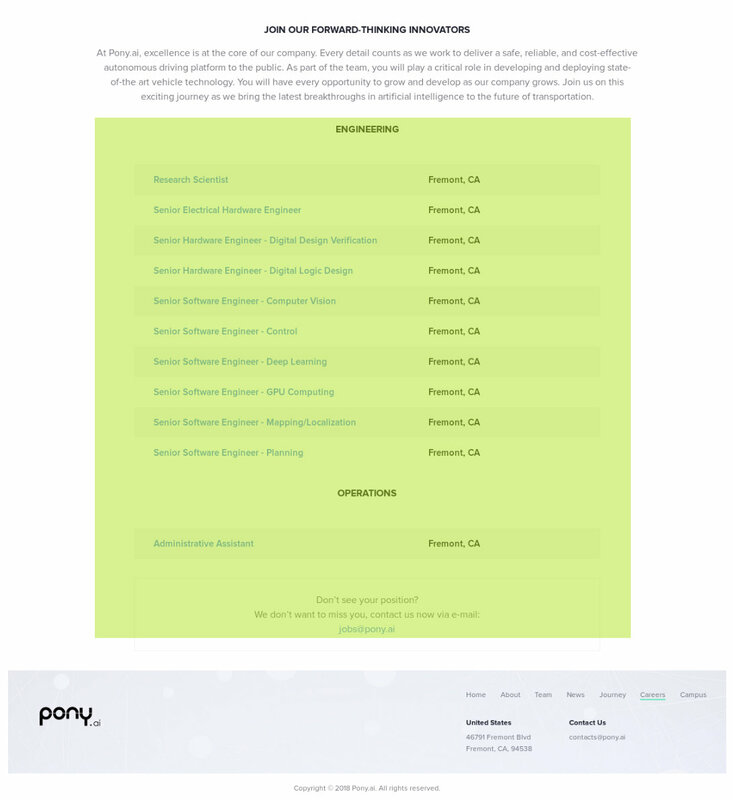 and wait for Trackly to reveal the rest of the form. 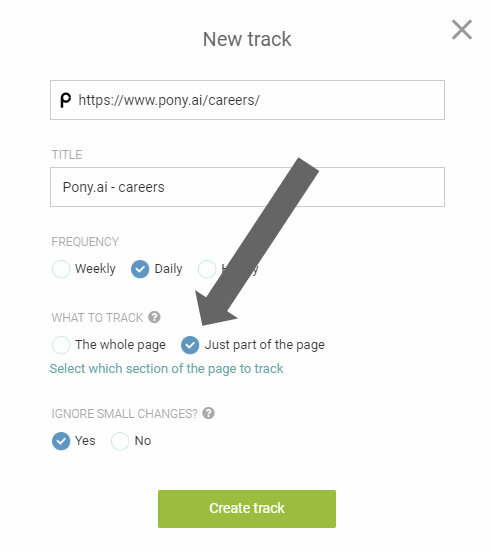 In the what to track section check the Just part of the page option. Then click on the Select which section of the page to track link. Wait a little while for Trackly to analyse the page and you'll be able to select a section of the page (the part in green) to track. Once you're happy with your selection, click the Save this selection button. You'll be returned to the main form for the track. Finally just click on the Create track button to save the new track.